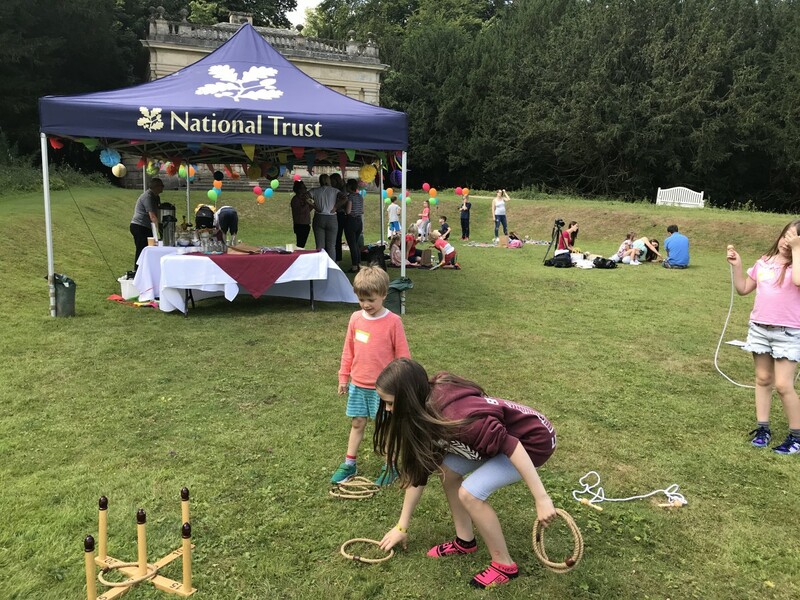 We’ve only recently joined the National Trust as members and have visited Fountains Abbey on only a handful of occasions so we were excited to be invited to the Studley Royal side of the property on a family bloggers picnic last week. We entered the World Heritage Site via the Studley Roger entrance, which is pretty breath-taking. As you sweep in along the driveway you can almost picture yourself as a leading lady in Pride and Prejudice wanting wave your parasol around in gay abandon! 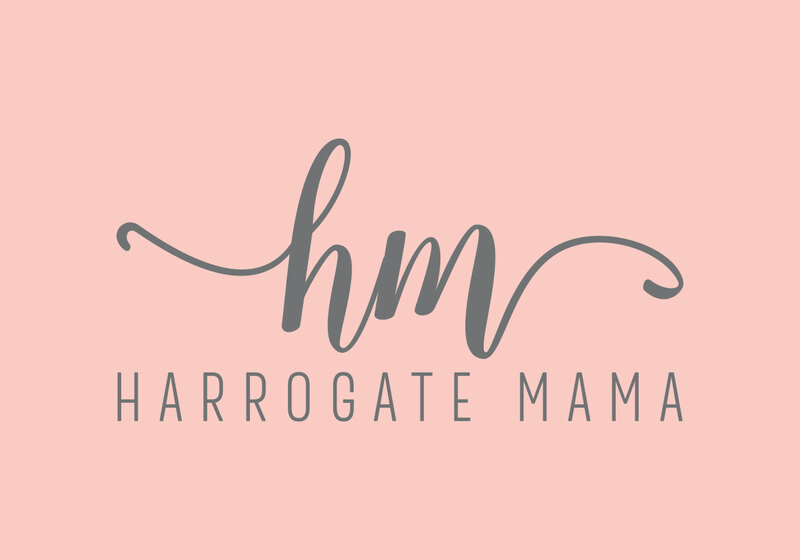 We headed up to the Banqueting House perched up high from the awe-inspiring Water Gardens and met with some other fellow family bloggers from across Yorkshire. 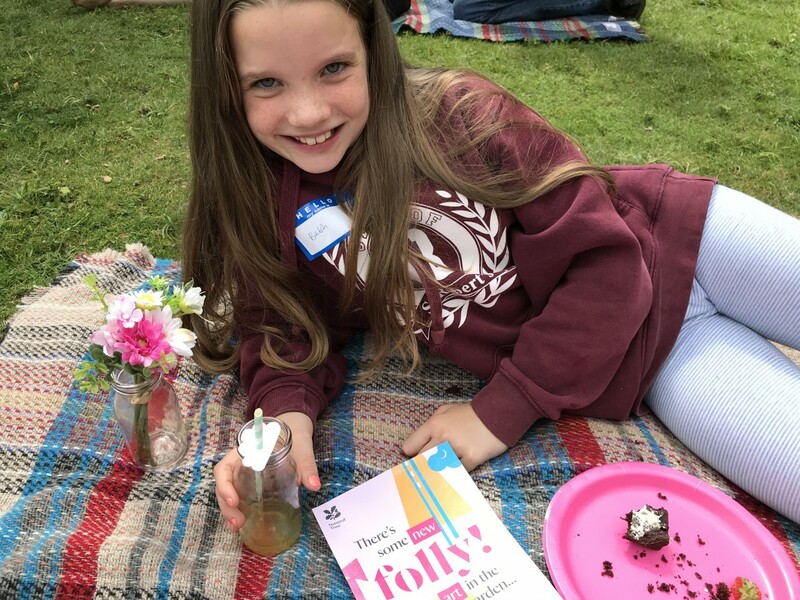 We were treated to some tasty sandwiches, scones and brownies and the Smalls played lawn games and ran around with bubble-wands in a scene from a modern day Swallows and Amazons! I wish I’d put ribbons in the girls hair! 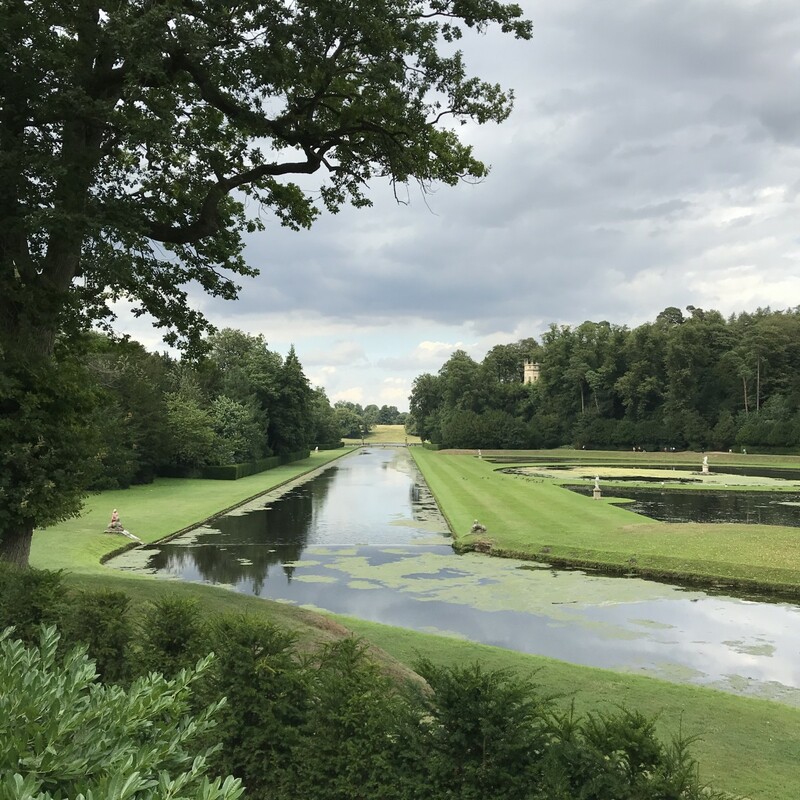 Since we’d not ventured down to the Studley Royal end of the park before we were all taken aback by quite how beautiful it was. The Water Gardens are a heavenly oasis and the grounds so beautiful. They’re really quite stunning. 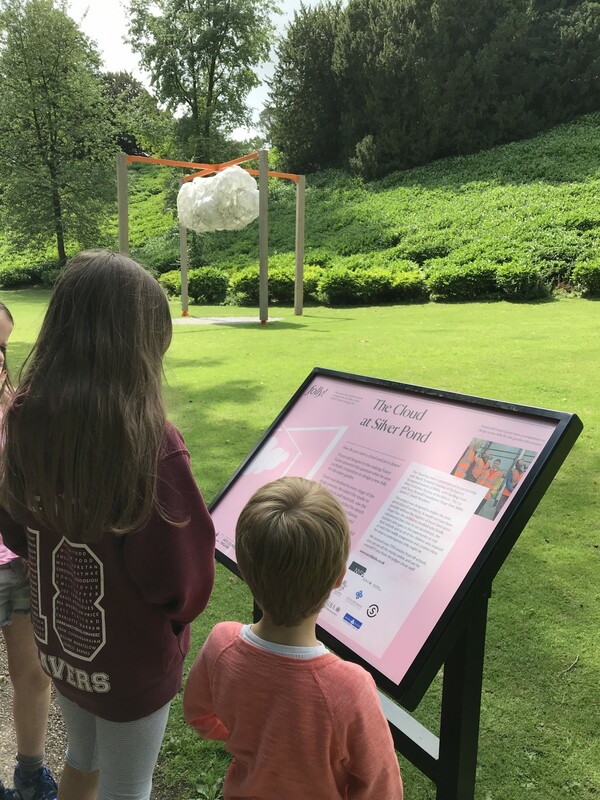 I hadn’t realised but there is a little mini-bus which runs between the Fountains Abbey end and the Studley Royal end of the site, making it a lot easier for those with little legs or buggies to see both areas in one visit! 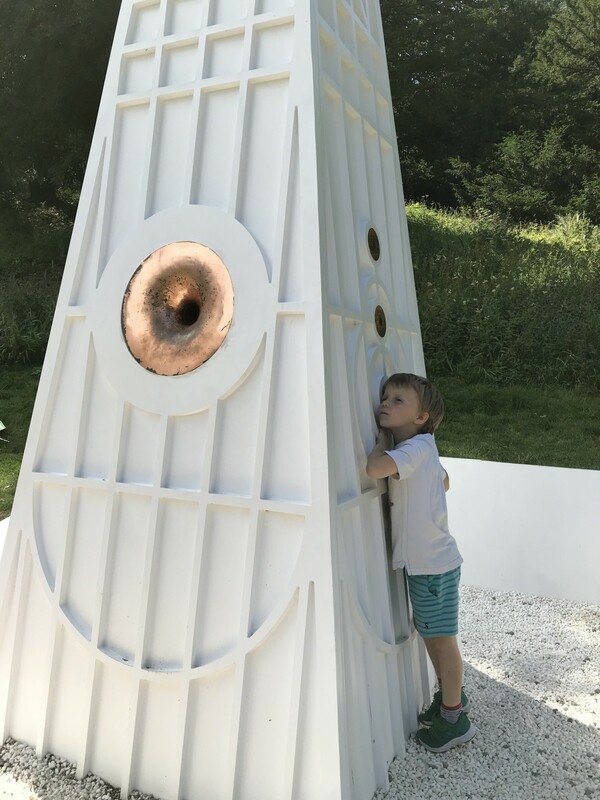 Around the grounds are a host of Folly’s ( interactive art installations) to discover this summer. 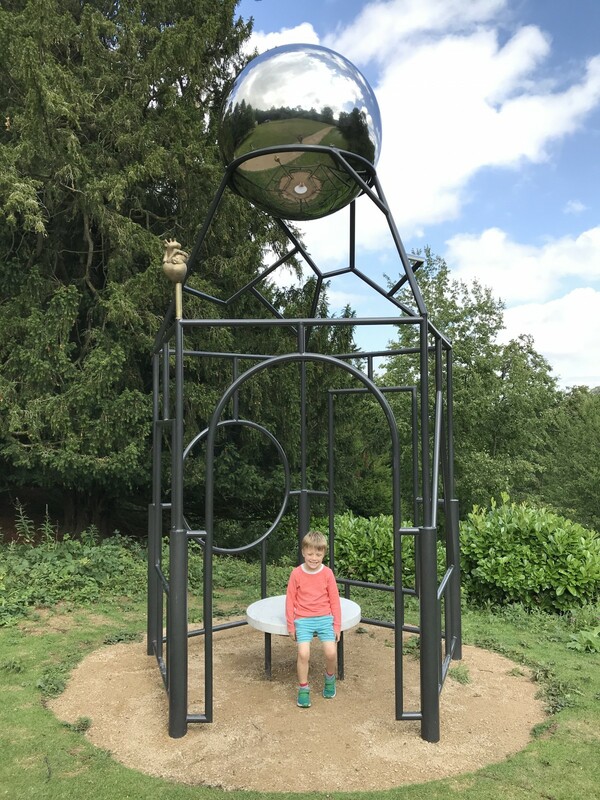 Traditionally Follies are fashionable, whimsical buildings or structures that were often used by 18th century garden designers to catch the eye or draw attention to a carefully created vista. The four new Follys appear along a short trail for the Smalls to follow and discover. 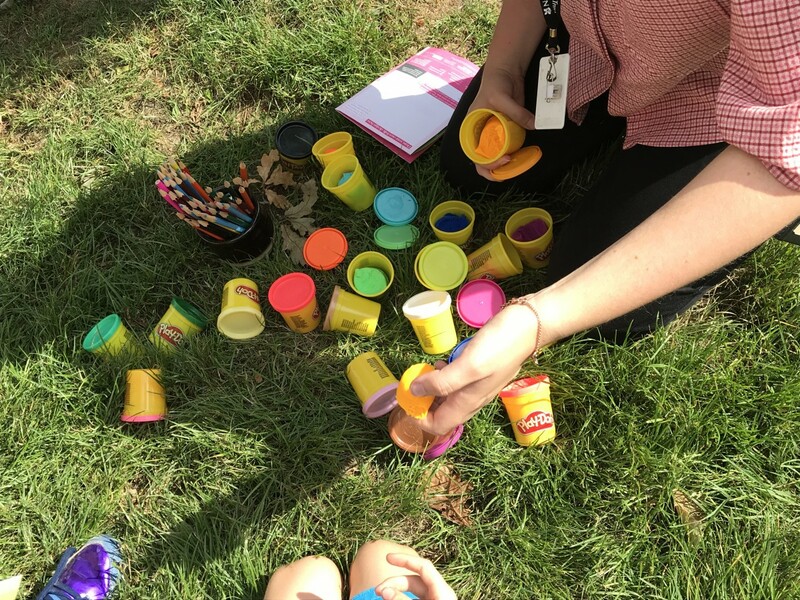 They’re all quite interactive, so a great way to bring art to life for the kids. There’s The Cloud, which was a highlight with the Big Girls. As they fascinated over how it can hold real rain! The Gazing Ball, which helped them all see a new perspective on the view. 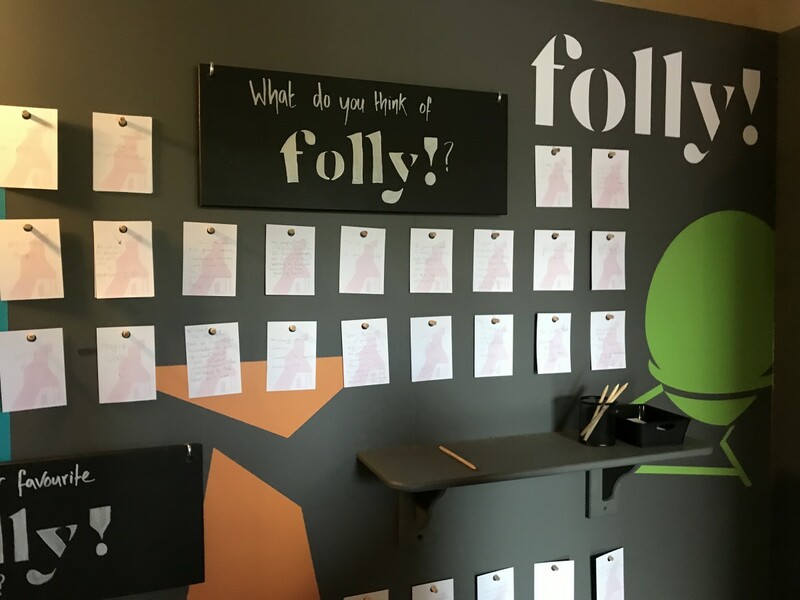 And finally Polly – which is the biggest Folly on view. Polly sits proudly atop of Tent Hill. She’s a big, bright colourful display and also projects the wonderful view from outside over the lake view back inside for all to see! 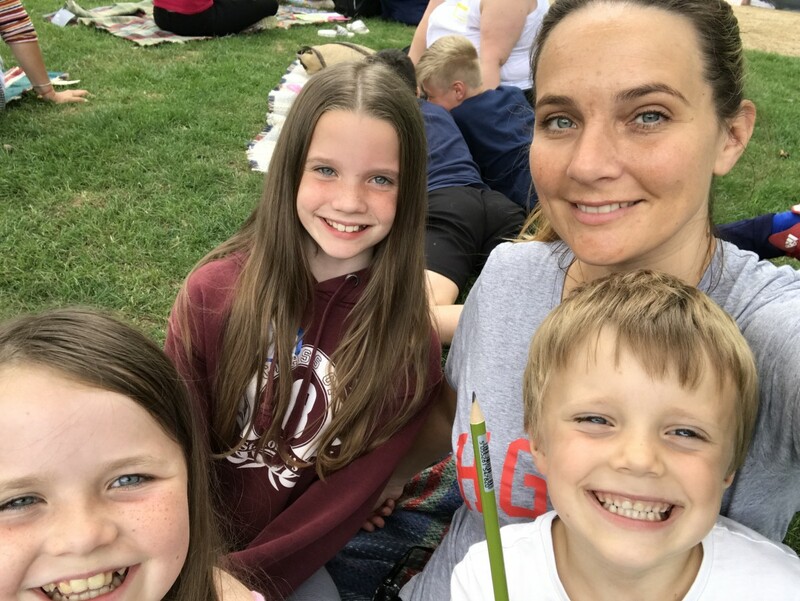 A real hit with the Smalls! 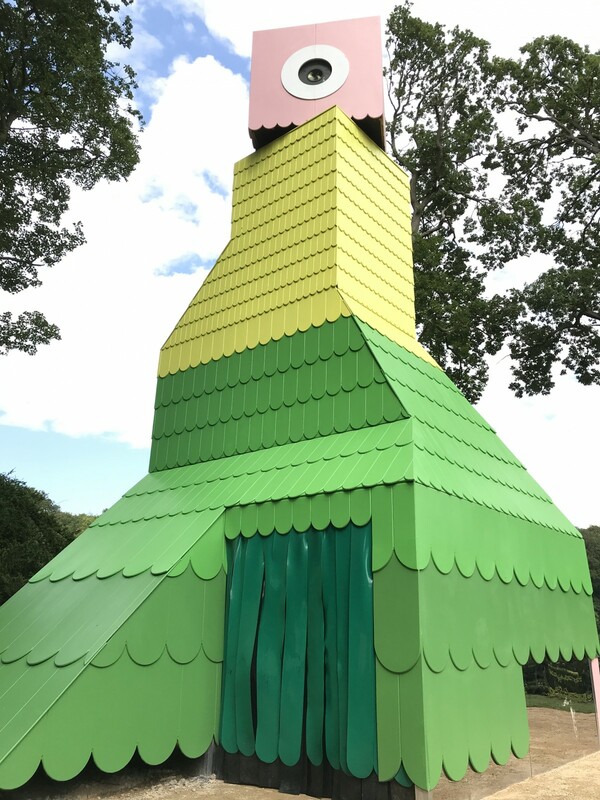 We stopped to admire Polly in all her glory and ponder what we’d design if we were making our own Folly. 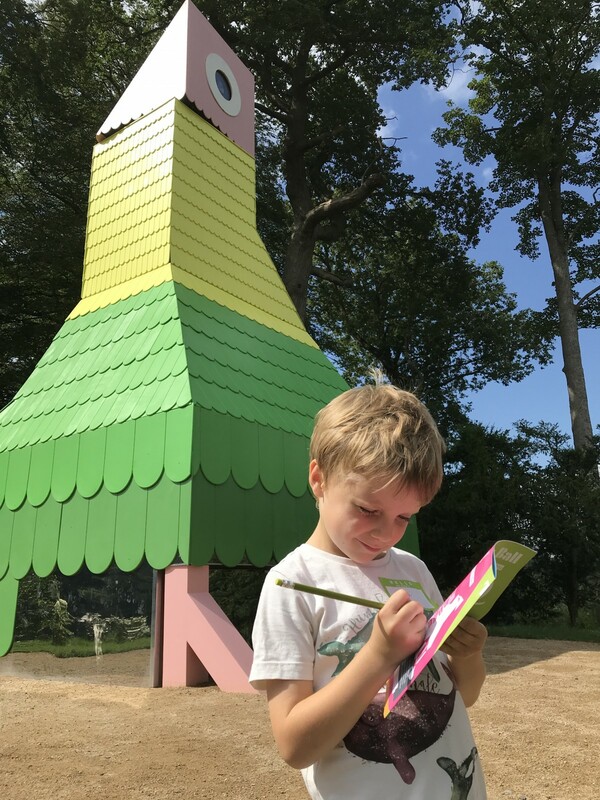 The Small Boy modelled his Folly idea from PlayDoh and the Big Girls modelled and drew theirs out too – it was the most picturesque spot to draw inspiration from. 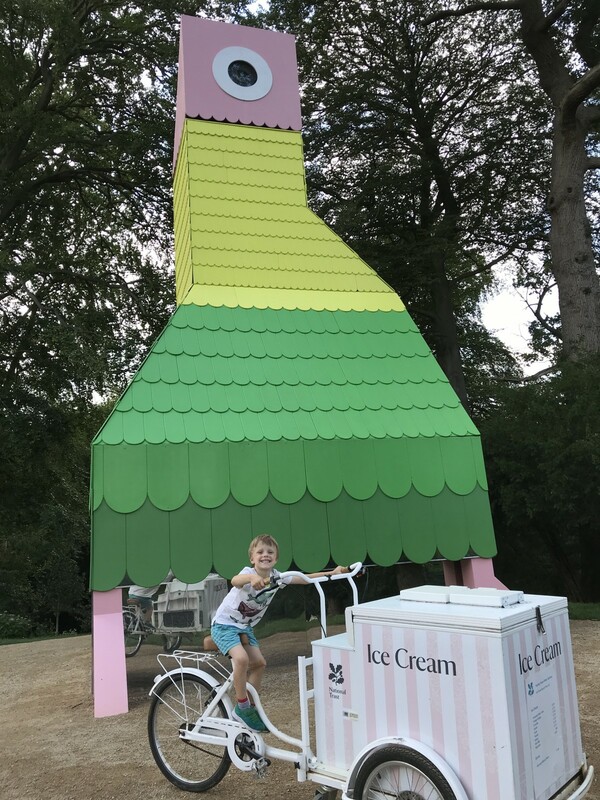 All their hard work was rewarded with a Yorkshire Dales ice-cream served from an ice-cream trike, which finished the day off perfectly. 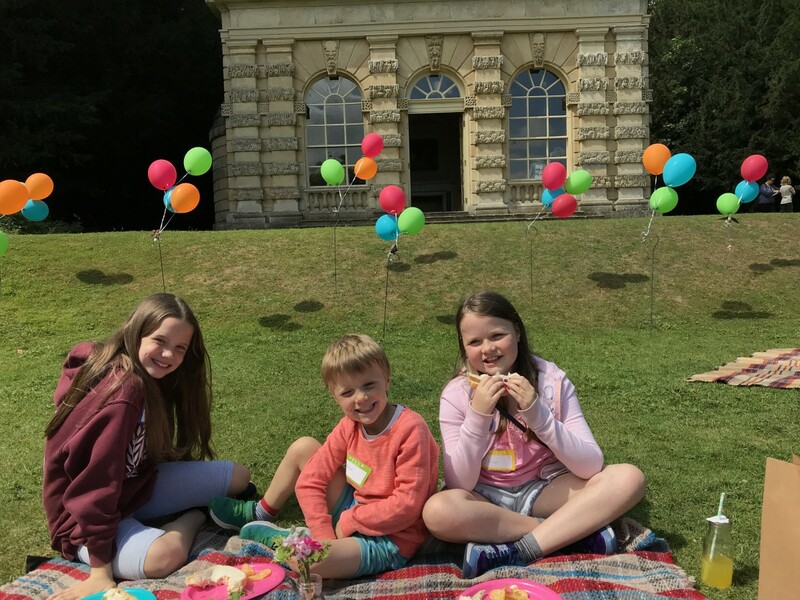 Fountains Abbey has always had a special place in my heart – from my visits as a child myself, and now Studley Royal will have too as I have years ahead to explore the whole gorgeous site fully with my own family. The National Trust invited us to enjoy the Folly trail with their compliments, the view, as always are my own.